Update: Aeronautics confirmed the report in a filing to the Tel Aviv exchange, stating Aaron Frenkel's stake now stands at 29.91%. 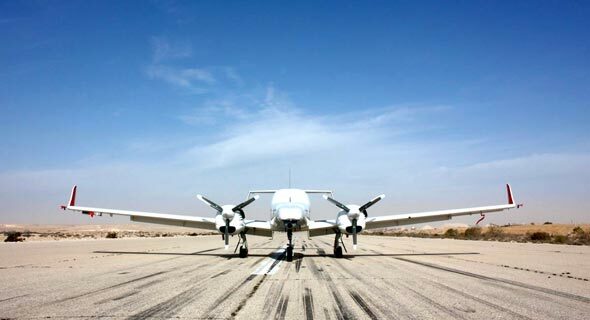 Israel’s Bank Leumi has sold its 5.36% stake in Israel-based drone maker Aeronautics Ltd. to Israeli businessman Aaron Gover Frenkel for NIS 42 million ($11.5 million), according to one person familiar with the matter who spoke on condition of anonymity. The price was a 6.7% premium on Aeronautics’ closing price on the Tel Aviv Stock Exchange Wednesday. Founded in 1997, Aeronautics develops military drones and has over 45 defense, military, and homeland security customers worldwide. The company’s stock plummeted after the Israeli Ministry of Defense halted Aeronautics' license to export a loiter munition UAV system to an unnamed but prominent client in August 2017, leading to a probe by Israeli Police and the Israel Securities Authority for suspected violations of the Israeli defense export controls law. The license was reinstituted earlier this month. In August, the company rejected a NIS 430 million (approximately $116.6 million) acquisition offer from Israeli defense contractor Rafael Advanced Defense Systems Ltd. and Israeli businessman Avihai Stolero. In January, Rafael and Stolero increased their bid to $231 million. The recent acquisition brings Frenkel’s holdings in the company to 29.6%. Aeronautics gained over 60% on the exchange since Frenkel started buying its stock in December. Frenkel owns Loyd's Aviation Group, which invests and owns assets in the domains of real estate, civil aviation and aerospace, energy, and technology. To increase his stake beyond 30%, Frenkel would need to make an acquisition proposal.